Konoba Kopačina is located in the heart of the island – a small picturesque village Donji Humac. No matter where you are situated on the island, be sure to visit this special tevern with the stunning view and original Brač cuisine. 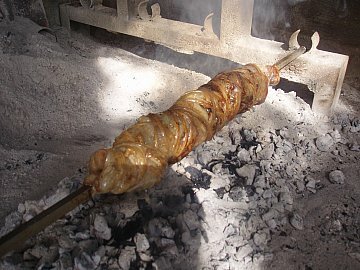 Do not miss out on lamb specialties, the famous sheep cheese, or a lamb on a spit. The most recognizable traditional meal on Brač is “vitalac”, and this is the place you can find it so don’t hesitate to taste this magnificent and unique meal. Have a glass of wine, feel the synergy of tastes and enjoy a romantic and special atmosphere in Kopačina. House specialties: Lamb specialties, "vitalac".